When seeing a rock concert one expects the performers to break a sweat, but it’s when you as a spectator do as well that you know you’ve seen a great show. 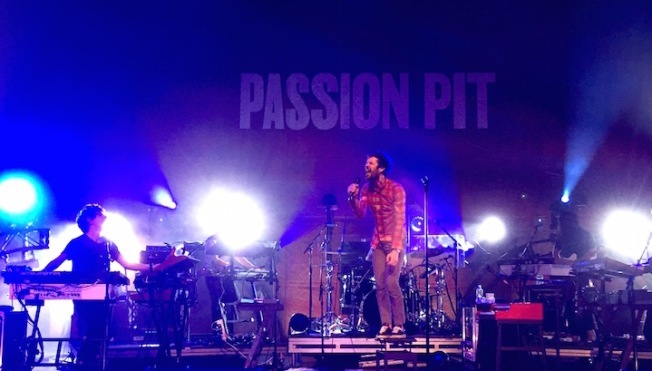 And on Monday night, Passion Pit put on a great show — my dry cleaner can attest to that. The evening was compact, it came in just under an hour and a half including the encore, but it felt full and complete. Opening with the energy of “Little Secret,” off of the band’s first album “Manner’s,” bookended with “Sleepyhead” off of the same LP, and sandwiched between, non-stop music that delivered at every turn. In the beautifully restored Kings Theater in Flatbush Brooklyn, Michael Angelakos took the stage adorned in a prep school blazer which he stripped off after performing a second song, “Lifted Up (1985),” keeping the performers promise to perspire. The sold out crowd followed suit, standing at their feet despite have seats which they never needed to use. “Whole Life Story,” “Cry Like a Ghost,” “Mirrored Sea,” when one song ended in a roar of applause another began without missing a beat. There didn’t seem a need for unnecessary chatter from Angelakos. Other than greeting the New York crowd, and marveling at the lavish room in which he was performing, talk was kept to a minimum. 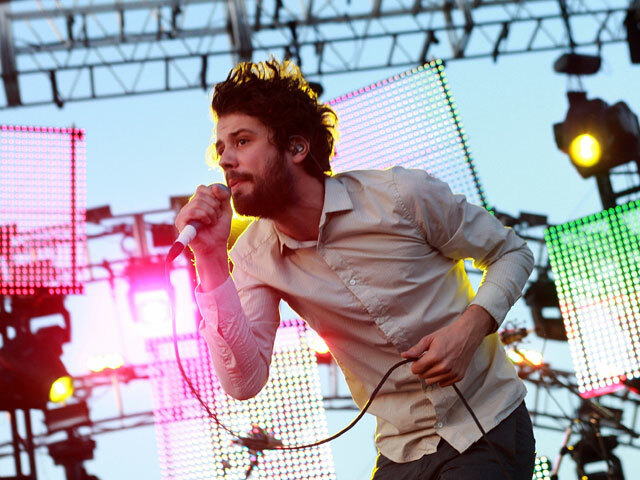 Rather, the band’s signature electronica sound combined with Angelakos’ strong falsetto singing style navigated fans through a setlist comprised of music from all three Passion Pit studio albums. With stand outs like “Kingdom Come,” a version of “Moth’s Wings” that you wished would somehow last even longer than you knew it would, “Make Light,” “The Reeling,” “Looks Like Rain,” “Take A Walk,” it all came at you rapid fire. There wasn’t even an opportunity to introduce the band, which in a sense is Passion Pit in a nut shell. This band is Angelakos' project, and he perched himself at the stage’s edge, extended his mic stand out beyond it, let the music speak for itself and left nothing short of himself, or at least a sweat-soaked towel behind.